The winner of tonight’s reunion of The Real Housewives of Potomac was a guy named Chris. You can choose which one, Big C or Little C, but both came out of this gathering unscathed which is not an easy thing to do. However, those with the last name of Huger or Darby did not get off so easy. We start back where we ended last week with Karen Huger falling apart backstage and Gizelle Bryant doing her best to comfort her. We saw this already, so let’s jump in when Gizelle gets back to the couch. Gizelle tells the group that Karen feels alone because of her parents dying so recently and so close together. Gizelle feels terrible and gets teary just thinking about what Karen must be going through. Once composed, Karen returns and tells the group she doesn’t want any sympathy. Robyn Dixon speaks for everyone when she says that Karen deserves it, and Ashley Darby says to Karen that she’s sorry for her loss. Karen accepts their condolences with grace and it’s time to move on to something a little more fun. The Real Housewives of Potomac season is almost over, but luckily we still have the reunion episodes to look forward to. 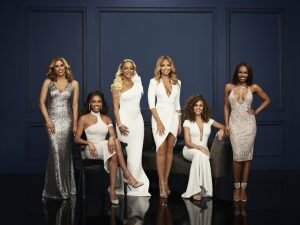 Are you ready for part one of The Real Housewives of Potomac reunion tonight? They’re sure to be rehashing all of the best drama from the season, as well as some storylines that we wish would just go away already. According to Bravo’s synopsis, “The ladies revisit this season’s emotional highs and lows, all while trying to mend their fractured friendships. 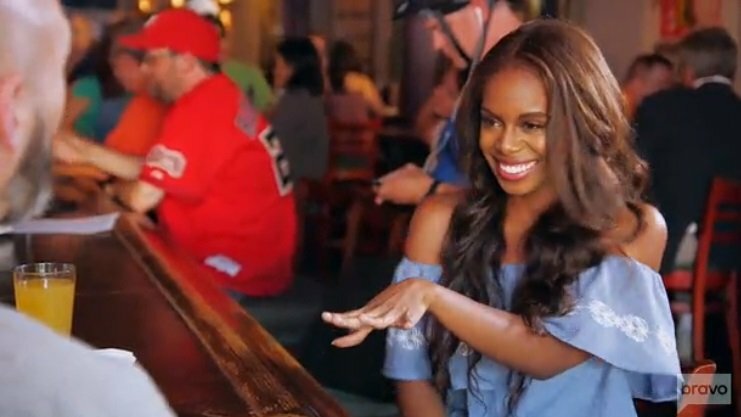 Monique [Samuels] and Robyn [Dixon] finally get to the core of their rivalry, while Candiace [Dillard] reveals some intimate details about her relationship. Karen [Huger] sheds some light on her mysterious life, but the pain she is dealing with is too much to handle, and Gizelle [Bryant] proves to her that old friends are the best friends.